If you had 48 hours to spend in Sarasota, Florida, where should you go? What should you do? 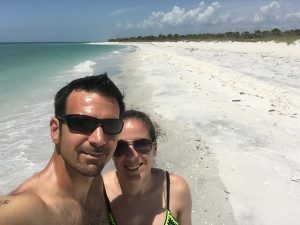 Located on the southwestern coast of Florida, Sarasota is home to dreamy beaches, fine cuisine, plenty of culture, and the DutchCrafters office. 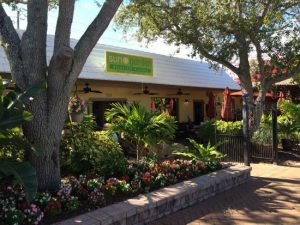 The team at DutchCrafters shares some of their favorite must-see spots in this handy Guide to Sarasota. 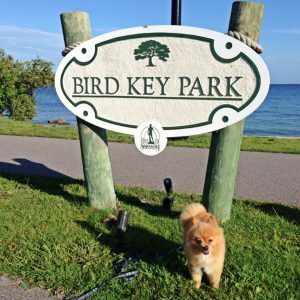 Clutch enjoys her time at Bird Key Park. 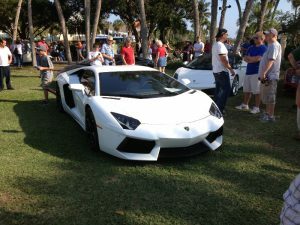 A car show on St. Armands Circle. Cupcakes from Cakes by Ron were a big hit at the JMX 15th Anniversary Party that was held at the Aloft hotel in Sarasota. The ”Unconditional Surrender” or “Famous Kiss” statue is a popular feature located near the Marina, and Marina Jack’s is a popular place to eat near the water. 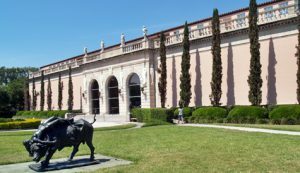 Insider tip: The Ringling Museum of Art offers free admission on Mondays. Beth’s daughters climb on the roots of the Banyan trees many years ago at Selby Gardens. 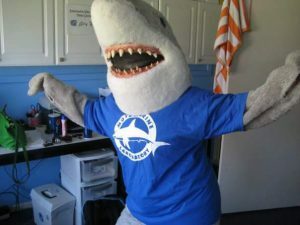 I love Mote because it’s not your typical aquarium. I have been volunteering with them since I was 16. 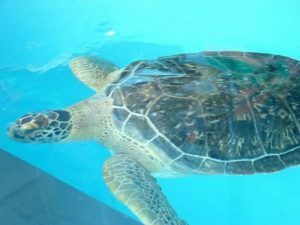 They have fish tanks, manatees, turtles, otters, reptiles and so much more. It’s a working laboratory so every animal you see is part of the science happening at Mote. 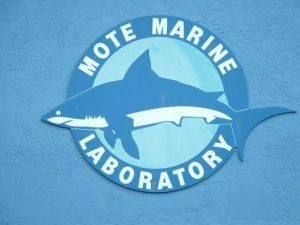 Mote is an aquarium, a laboratory, a research center, and a rescue. They believe highly in rescue, rehabilitation, and release. 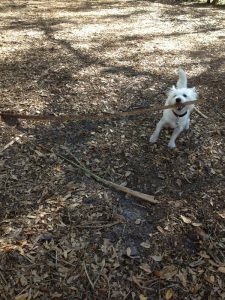 Any animal that cannot be released because they cannot survive in the wild, like Hang Tough (pictured below) who is blind, is then put on a list and the government agencies decide where they get to live out their lives. Hang Tough has his own habitat with some new fish friends in the Mammal Center that is designed especially for him. Kaili dressed as Gilly the Mote Mascot to entertain kids attending summer camp at Mote. All proceeds from tickets go to the animals and the research. 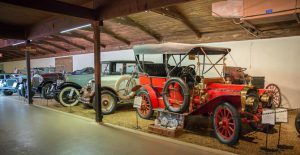 A small community of roughly 3,000 Amish and Mennonites, it is a favorite vacation spot for many Amish from Indiana, Ohio and Pennsylvania. You’ll see many Amish riding adult-size tricycles as their mode of transportation. Locals and visitors enjoy dining at Der Dutchman and Yoder’s and getting some ice cream at Big Olaf. Der Dutchman, Big Olaf and pie from Yoder’s are all popular in the Sarasota Pinecraft community. Full of fresh foods, fruits, flowers and fun, the Sarasota Farmers Market happens every Saturday from 7 am until 1 pm. This is a wonderful Sarasota community event. Kinsey’s fresh produce gets ready for a busy Saturday morning at the Sarasota Farmer’s Market. Sarasota Jungle Gardens began back in the 1930s and was originally a plan for a botanical garden. Tropical plants, trees and flowers from all over the world were brought in. The gardens drew attention and Jungle Gardens was opened to the public in 1936. Today Jungle Gardens is home to over 200 native and exotic animals located on 10 acres including many winding jungle trails. Winding trails and a white peacock at the picturesque Sarasota Jungle Gardens. 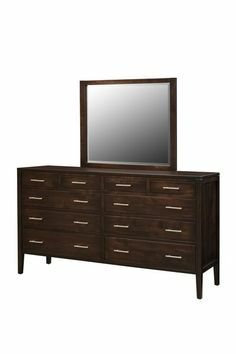 And don’t forget the DutchCrafters Showroom, our brick and mortar store that houses a sampling of our stunning Amish furniture in Sarasota. Come in and ask questions, we would love to meet you!